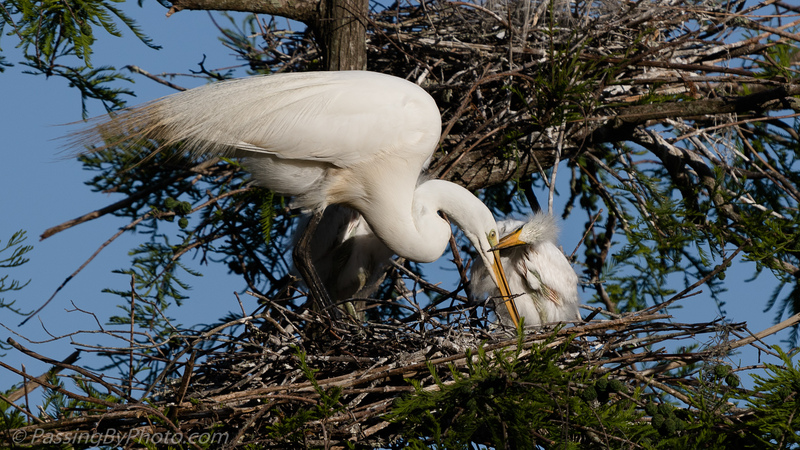 Egret chicks’ food comes via “beak delivery” so it’s only natural for a growing chick to look for more! Let me try from a different angle! 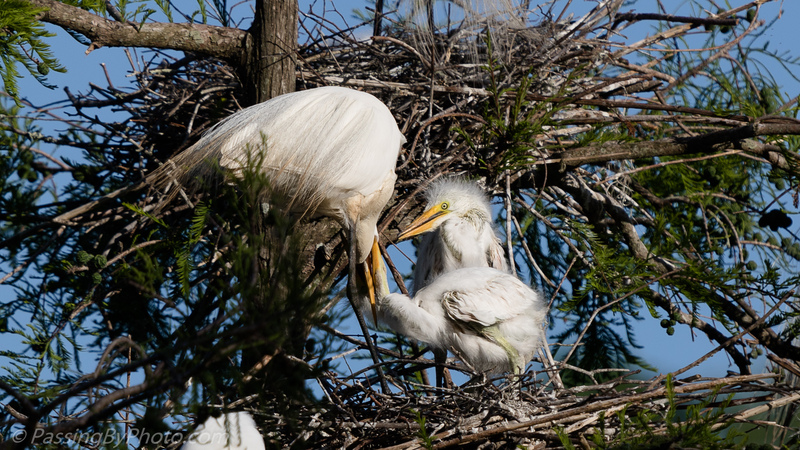 These chicks are surrounded by other Great Egret nests, but at this age don’t pay any attention beyond their little spot. 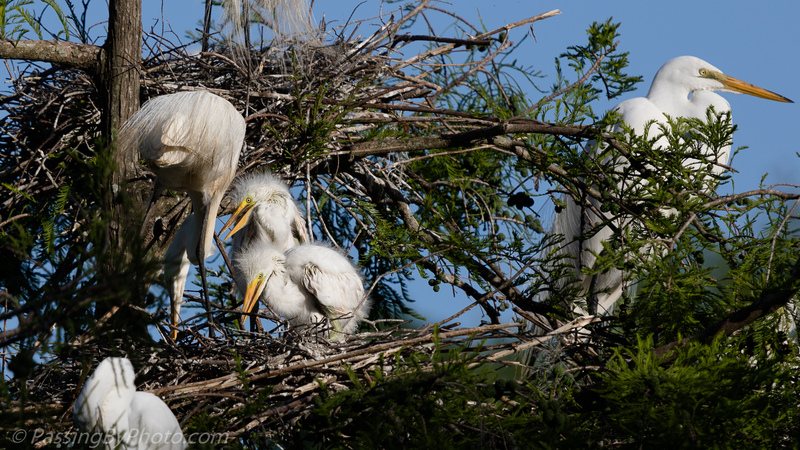 Some of the older ones have started working their wings, wingercizing…won’t be long and they’ll be flying.